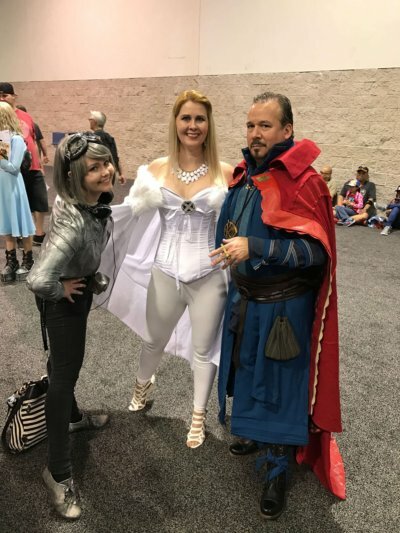 Home / Conventions • Suddenly Susan / Wondercon Roundup! Suddenly Susan Takes The Con By Storm! Comic Con HQ! Toddland! The Convention Floor! And More! 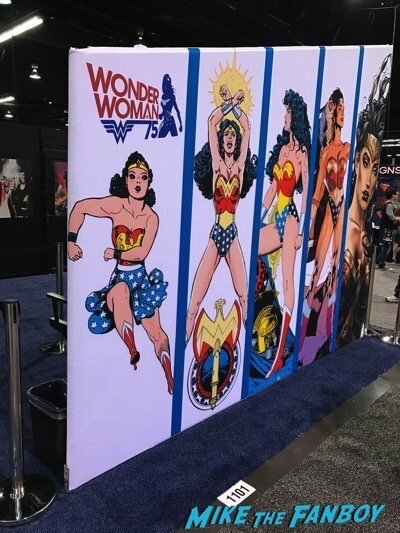 Wondercon Roundup! Suddenly Susan Takes The Con By Storm! Comic Con HQ! Toddland! The Convention Floor! And More! 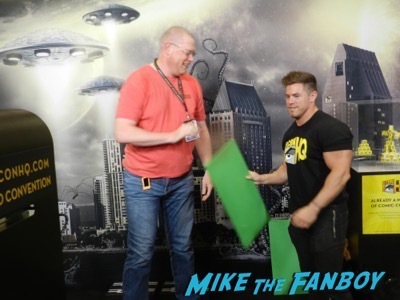 Mike and I headed down to Anaheim for our annual visit to Comic Con’s adopted younger brother. I enjoy Wondercon because of the smaller scale, but it still has a good wow factor and is lots of fun. 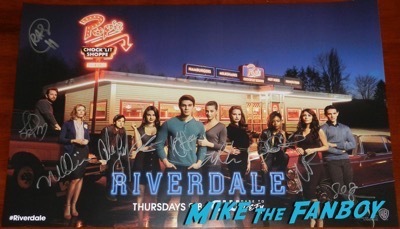 Unfortunately, I only got a ticket to one signing this year which was for Riverdale. You can check out Mike’s recap on that one. My big take away from it was how nice Luke Perry was! I told him I was way outside the target demographic and that I was watching because I was big 90210 fan. He took my hand, asked my name and thanked me so much. Dylan McKay touched my hand – swoon! 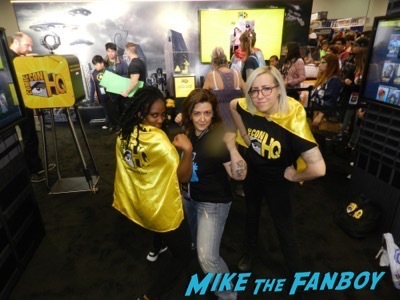 I tried out the experience at Comic-Con HQ for Wondercon where Mike and I got to be superheroes for a moment! Using state of the art technology and green screen background, we got to be included in a movable, interactive video in super hero costumes! 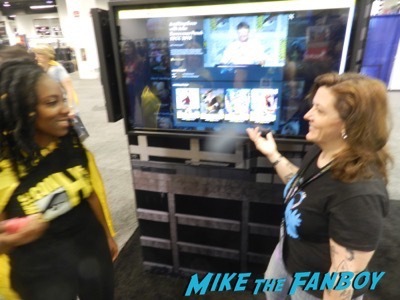 We also got some pretty nice swag (including our own super hero cape) after testing out the touch screen menu for Comic-Con’s video database. 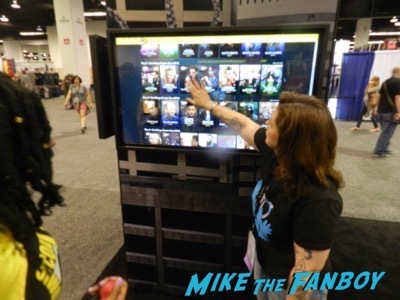 You can watch panels and bonus footage from conventions past and present. It was pretty amazing! 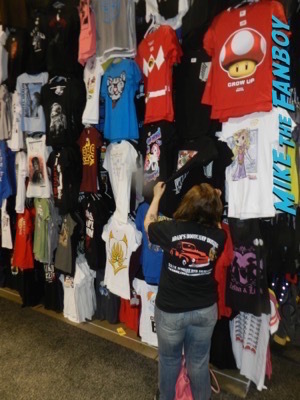 No convention is complete without perusing through the merchandise, especially the fun t-shirt booths. You can find just about any show or movie you adore on a t-shirt. We also walked the floor and found plenty of awesome cosplayers. These guys really go all out and I admire the commitment. 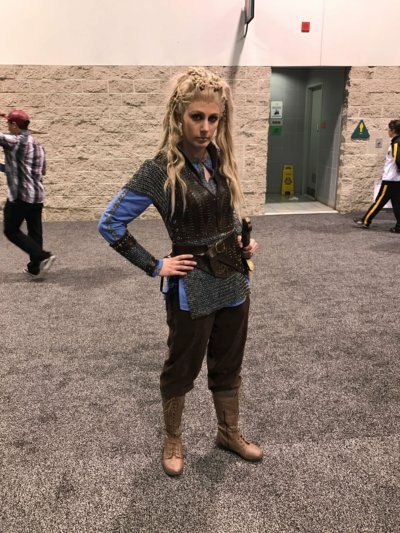 It’s hot enough walking around the floor, but imagine being in full costume? Way to go guys! 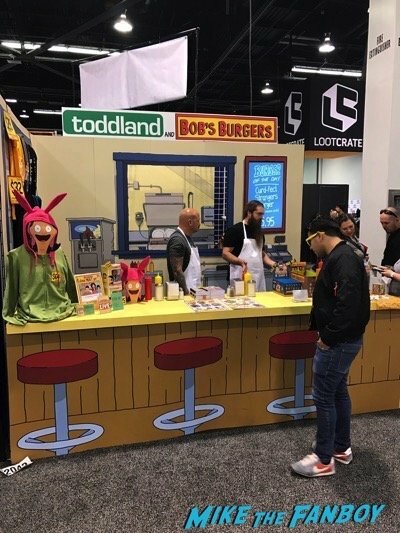 Toddland’s booth was decorated like the diner from one of my favorite animated shows, “Bob’s Burgers”. It looked pretty amazing. 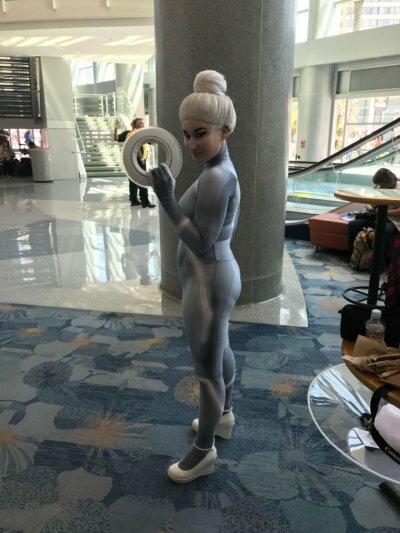 Wondercon is slowly becoming one of my favorite conventions to visit. 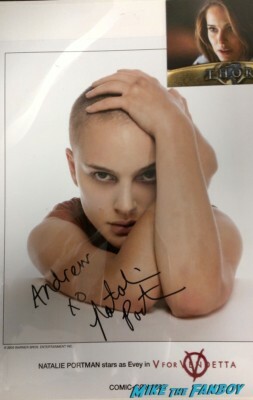 There are POP vinyls galore, action figures, games, jewelry, and even autographed memorabilia. There’s a little something for everyone as long as you’re a fan of something! weight. Try it out if you’re in the San Fernando Valley! Con Game! 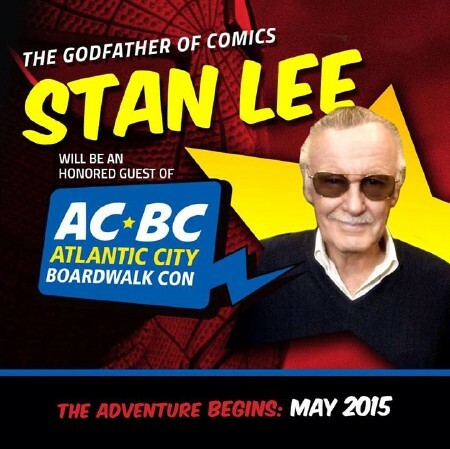 A Round Up On What’s Up For NYCC, ACBC and Fan Expo Canada! SDCC 2016! Sherlock Is Back! Season 4 Trailer! Something Is Coming! Jekyll or Hyde! Suddenly Susan Claws And Fights Her Way Into The Wilfred Autograph Signing At SDCC But Meets A Grumpy Elijah Wood!